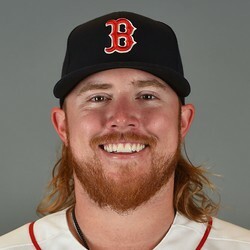 Robbie Ross has put together four consecutive scoreless outings, striking out five with one walk and three hits over five innings. Ross has mostly been good of the pen for the Red Sox, with the one glaring blemish a six-run appearance during a 21-2 loss to the Angels two weeks ago. Ross will not be getting any save chances out of the bullpen for the Sox but has been getting holds. If you are in a league that values the holds stat then Ross is someone to keep an eye on.